Ever since the first Lufkin® wood rule was produced in 1869, the Crescent Lufkin® brand has been synonymous with high quality and unmatched accuracy. 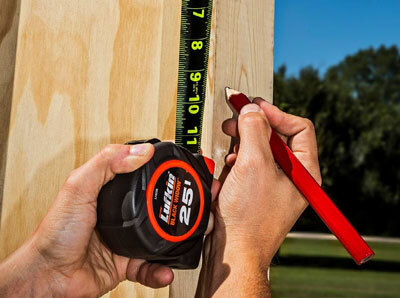 Today Crescent Lufkin® wood rules, power tapes, engineering and surveying tapes, specialty tapes and measuring wheels comprise of the widest selections of measuring products in the industry. Lufkin® comprises of over 140 years experience in multiple measuring categories. Valued features that make a wide variety of tasks such as gauging a petroleum tank, laying out a building foundation or hanging a picture. Accurate measurements from products designed for the work environment.